The GoTheatrical!™ team at The Captioning Studio is excited to announce yet another new initiative – Caption Equipment Kits! The Caption Equipment Kits comprise a plasma screen, a laptop (with captioning software pre-installed) and necessary cabling to facilitate a captioned theatre performance. In support of our vision to see GoTheatrical! theatre captioning offered in venues across Australia, electrical retailer Harvey Norman has generously provided us with some of these Caption Equipment Kits! Caption Equipment Kits will soon be located initially in Melbourne and Sydney, with more planned for other capital cities. 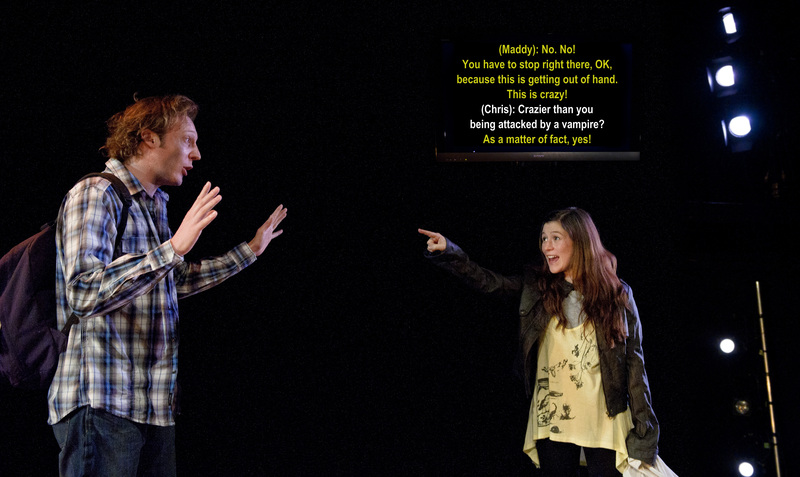 The Kits will be available for the free shared use of venues wishing to provide theatre captioning for their audiences. We wish to extend our sincere thanks to Harvey Norman for their generous support and assistance in helping us to achieve our dream.